If you have kids (or just roommates) you probably find yourself remarking that someone is being way too loud. That seems almost subjective almost, what is too loud, really? Now there’s a way to show people what too loud is. 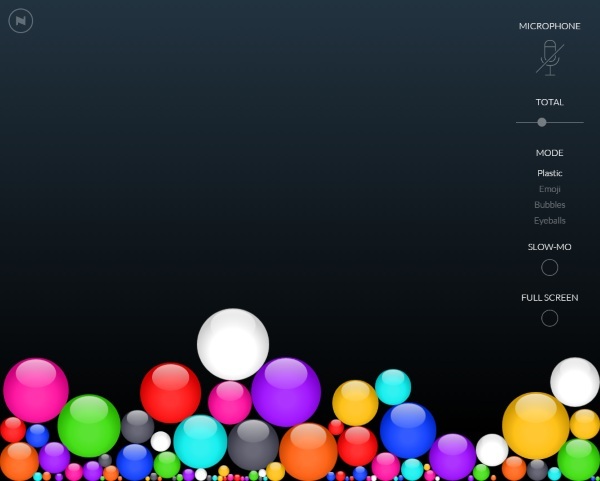 Bouncy Balls gives a visualization of noise. This particular website was probably designed solely for children but that doesn’t mean that adults can’t use it for other adults. Sometimes we need a reminder to use our inside voices. The site works in conjunction with your computer’s microphone to monitor the sound. When it detects noise, the balls bounce. The louder the noise, the more activity the balls have. You can change the type of balls to a few different things including eyes, emoticons, and bubbles. This isn’t a perfect solution but it’s easy to say, “Hey, if you can make these move from way over there, you’re being way too loud.” It’s easy for children to understand and will serve as visual proof for inconsiderate roommates. Now you can prove they really DO need to turn down the stereo. 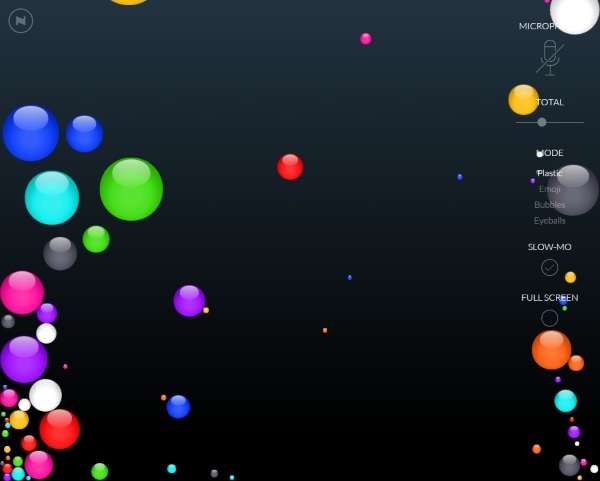 Bouncy Balls is a free website.